Previous research has shown that temperate phages can confer prophage-mediated viral defense against a host during lysogeny through a certain set of genes that, when expressed, will defend against and target other phages, preventing them from superinfecting the lysogen. My work primarily focuses on the phages within Cluster I. The aim is to isolate any defense escape mutants on these Cluster I lysogens and to further analyze the genomes of the mutants to determine which gene(s) are responsible using bioinformatics and other comparative tools. Gabrielle is majoring in Microbiology with a minor in French and Chemistry at the University of Pittsburgh as a part of the class of 2018. 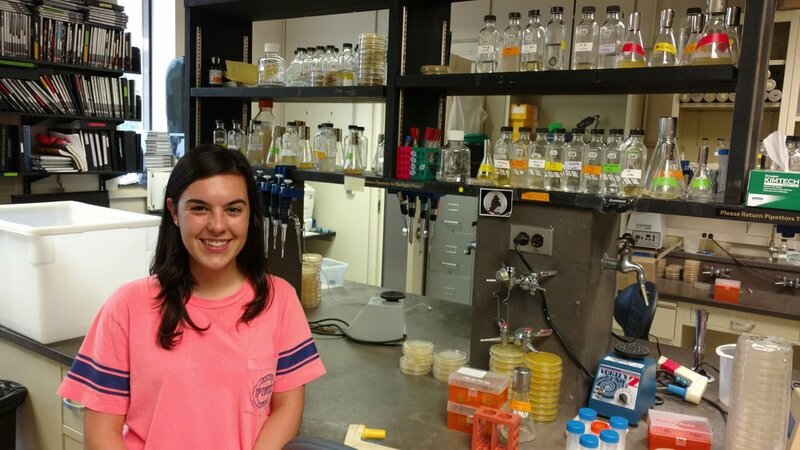 After graduation, she plans to attend graduate school for Microbiology/Immunology.